Spy Rock Memories, Larry Livermore, released by Don Giovanni Records, 2013. Westwood in a way, reminds me of Larry Livermore, author of a new book entitled Spy Rock Memories available now on pre-order by Don Giovanni Records and due out on June 4th. Livermore, like Westwood, was heavily involved in shaping the punk community, albeit in Livermore’s case, of the East Bay in California that was worlds away from Westwood’s London movement and almost a decade after the first wave of punk. Westwood and Livermore are about ten years apart in age, but both were influenced positively and negatively by the Hippie Movement that they rejected and regard punk as a somewhat failed and certainly nihilistic movement. On the other hand, both are very much into the world that surrounds them and aren’t afraid of expressing their views on that world in an acerbic manner that both inspires and infuriates. If Spy Rock Memories is any indication, Livermore is also dedicated to the ideas of justice and a fair deal for everyone, particularly when it comes to the environment. I should mention from the beginning that Spy Rock Memories is not a tell-all book about any of the bands from the East Bay that Livermore worked with at their beginnings (Green Day, Screeching Weasel, Operation Ivy, et al). There are plenty of passages about those bands throughout this tight, concise, 244-page memoir, but the bands and music comprise a secondary story to a slice of social history from California’s landscape and Livermore’s intertwined life with it as an editorialist, musician, and record impresario. Spy Rock Memories is more a tale of a man and the land that he fell in love with–along with memories of bands you might love or hate. I first spoke with Livermore in 2009 when I asked him a question about punk rock archives after a talk for the oral history book on East Bay punk, Gimme Something Better. I’m an archivist (i.e., someone who takes care of “old stuff” for history and research) and I had a farfetched idea of creating an East Bay-centered interactive archive around…well, Green Day, among others. The book whose talk I had come to was packed with interviews of people who were deep in the music and life of the era and the panel included Silke Tudor, one of the authors (the other being Jack Boulware), as well as four of the book’s interviewees, including Livermore, writer/musician Aaron Cometbus, musician Jennifer Blowdryer, and journalist A.C. Thompson. Mind you, I didn’t know all that much about the music of the East Bay until 2009. I’ve found, however, that when you work in an archive or fall in love with any subject, knowing everything about that subject initially is inconceivable. In fact, no one knows anything at first; we are all clean slates until exposed to new circumstances. It’s the discovery of experiences gone past, of times, people, and places that is always the most thrilling. I’ve been fortunate to hear a few of Livermore’s stories in person regarding Green Day and a bunch of other stuff, too. Goodness knows, he can talk up a storm. He’s a walking oral history and you’ll do yourself a favor by grabbing a copy of Spy Rock Memories for your own, particularly if the East Bay’s music and landscape are close to your heart. Spy Rock Memories sends you back into a very specific period from 1980 to 2002. Part social history, part memoir, part lost horizon, Livermore’s charming way with words, expressions, and humor throughout informs and infuriates. He writes like he talks, in precise sentences and few words that he pens in this volume are superfluous. The book primarily is about a place: a mountain area near Highway 101 outside of Laytonville, California. Spy Rock, where Livermore ultimately settled, is located off of a mountain range called Iron Peak. It’s isolated and rugged, and if you look up Iron Peak Summit with thoughts of hiking and camping in mind, MountainZone.com explicitly states: “If you value your life, hike somewhere else from May through November.” There’s an outpost called Lookout Tower where someone is stationed to, well, lookout for forest fires. It’s the backwoods of Northern California that few have visited, let alone, lived. When Livermore first arrives, Laytonville, twenty-five miles away by rugged road, is–in Livermore’s view–a backwater, hillbilly, pot-growing, good-old boy and hippie hamlet that pretty much stays that way except for the addition of big logging, big marijuana, and big mowing down of what captivates Livermore the most: an untouched landscape of nature. As time goes on and he settles in, Livermore brings his punk aesthetics (or orneriness, maybe), into the mix and sets up a perfect storm of punk, rock, and country music lifestyle clashes that ends in an ultimately losing attempt to bestow some punk ethos on the mountain. “A man could die up here if he wasn’t careful,” writes Livermore, and being that I’m a Detroit inner-city girl, I believe him. There are no modern conveniences such as gas, electricity, or heat pumped in from utility companies. It’s a firewood-chopping lifestyle or bust situation, and the land needs taming in order to live in harmony with it or die trying. It’s where Livermore learns to tame himself and is torn between a life of nature and a life of punk rock music and political writing as he starts a newspaper, The Lookout, a record company, Lookout Records, and a band called The Lookouts, too. In Livermore’s world on Spy Rock, danger comes from all sides, particularly from a community where the drug trade feeds and destroys families, homes, and land, and the peace of the mountain itself. Livermore lovingly describes the beauty and the dangers of living there. Scenes of survival and idyllic landscape are punctuated by sounds as subtle as wind chimes or as nerve-wracking as an Apache helicopter searching for marijuana fields. Through this backdrop, Livermore introduces a cast of characters that he describes mostly in sketches and limited detail. This memoir is certainly from Livermore’s point of view and he seldom delves into the motives of those of whom he writes. Why did Udo, the man Livermore bought his newly-built house on Spy Rock from, sell it to him at the drop of a hat? Or what exactly did the townspeople write in the Laytonville Ledger after Livermore, in a letter to the editor, describes downtown Laytonville as an “unattractive rural slum with few redeeming qualities” when trees are mysteriously torn down for no discernable reason except for what Livermore thinks is someone’s idea of “orderly parking lot management.” While details like this are sometimes missing from his point-of-view, it doesn’t take away from the descriptions of place and people. For music lovers reading Spy Rock Memories, there are several compact stories interspersed throughout the book that you’ll certainly enjoy. For instance, you’ll read tales of how The Lookouts were initially formed with his then-girlfriend, Anne, and after her inevitable departure from the mountain, joined by two local kids, 14-year old Kain “Kong” (son of Udo) and 12-year old Frank III (nicknamed Tre as a kid and eventually known as the drummer of Green Day, Tre Cool). The parents of these kids become Livermore’s closest friends on the mountain. Livermore speaks of his bandmates and their families with heartfelt sentiment, along with Livermore’s family who lives across the mountain, including his niece (visual artist Gabrielle Bell, who provides subtle comic illustrations of the mountain throughout the book), his nephew, their mother, and his “Aunt” Olivia. 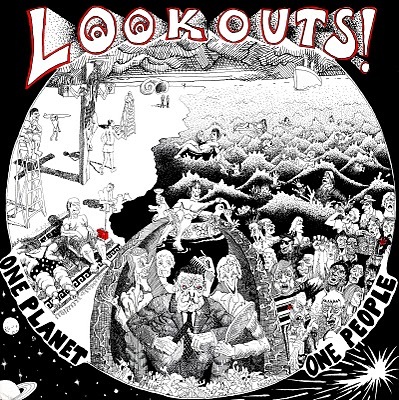 The Lookouts aren’t as well-known as some of the other bands Livermore and his initial partner, David Hayes, signed to his off-the-cuff label, Lookout Records, which, after a series of agonizing events–namely, money problems– folded in January 2012. (Livermore left the label in 1997.) Green Day, Screeching Weasel, Operation Ivy, Pansy Division, The Avengers, the Mr. T Experience, Neurosis, Ted Leo and the Pharmacists, and Akaline Trio, are only a few of the bands that rotated in and out of Lookout Records’ roster over twenty-five years. Band formations, shows, breakups, and artistic turmoil are presented from Livermore’s viewpoint, sometimes with a sneer (as in the case of Ben Weasel attending Laytonville’s Rodeo), sometimes with sadness and anger (as in the case of Sweet Children changing their name in the middle of a record printing or Operation Ivy suddenly breaking up) and sometimes with hilarity (all I’ll say is: Camp Winnarainbow). But, back to The Lookouts…their songs are hilarious and pointed, with 12-year Tre Wright learning to drum and singing with his pre-adolescent voice (which kinda sounds like his singing voice now, only more…pre-adolescent), Kain providing newly-learned intricate baselines, and Livermore expressing every punk angst known to man. As Livermore writes on the bio at the Lookouts Fansite, “even several years down the road, [the Lookouts] were never noted primarily for their technical skill, but we did manage to get a good bit better.” Many of their songs are all about California and very head-banging. I found myself wanting a Lookouts soundtrack playing in the background while reading the book. 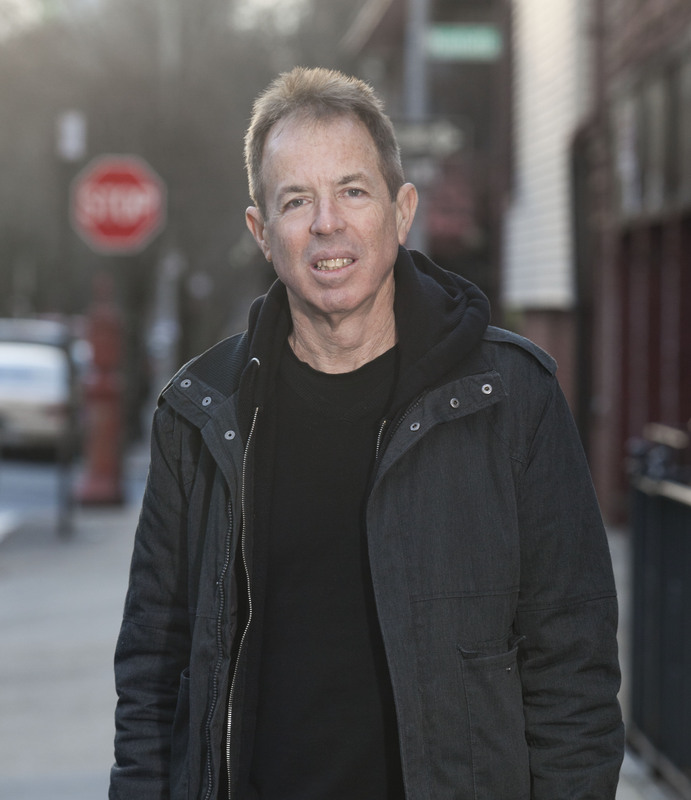 Livermore delves into his departure from Maximumrocknroll (MRR), the DIY zine that became a standard of the punk underground, and his clash with the even more acerbic and legendary punkmaker, Tim Yohannon, head of MRR. Theirs was a tumultuous relationship, and Livermore is a lot more gracious in his description of their parting of the ways than a lot of people would have been in the same situation. Gilman Street, the “cultural community center” of music located in Berkeley, CA is also mentioned and all in all, it’s a nice personal recap of days gone by. Spy Rock Memories works best when Livermore talks about the mountain and its environment and heartaches, which end up being many. After twenty-two years, he finds himself away from the place for extended periods of time, which causes the land to overgrow and the house to deteriorate. He comes to the agonizing decision to sell Spy Rock, packs up the house–and in a knife-in-the-heart scene to an archivist–burns what remains of his life’s ephemera. Though he leaves the house behind, he’s still a bit haunted by the memories of it. Vivienne Westwood, in the same interview mentioned above from Style.com continued her thoughts on punks and politics by saying, “I’m not sure if other punks at the time were doing it [politics and punk] for the same reasons [justice]. 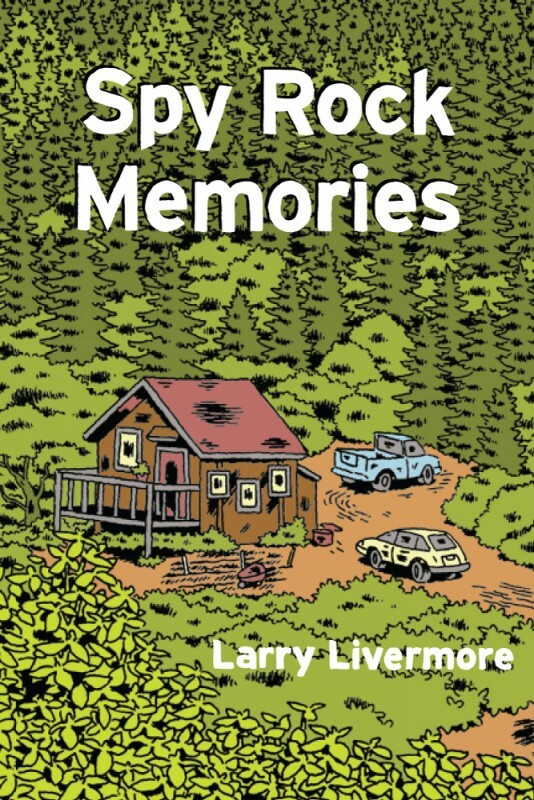 A lot of them were doing it to have a great time and look good.” From this short volume of Larry Livermore’s Spy Rock Memories, it’s clear that Livermore didn’t want to have only a great time and look good (though who doesn’t want those things), but he wanted to make a difference in the world as well. May we be so lucky that our motivation stems from the same cause.